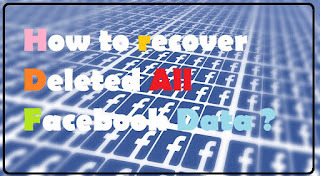 Home» Facebook Tricks » [Facebook Trick] How to recover deleted all data on facebook? 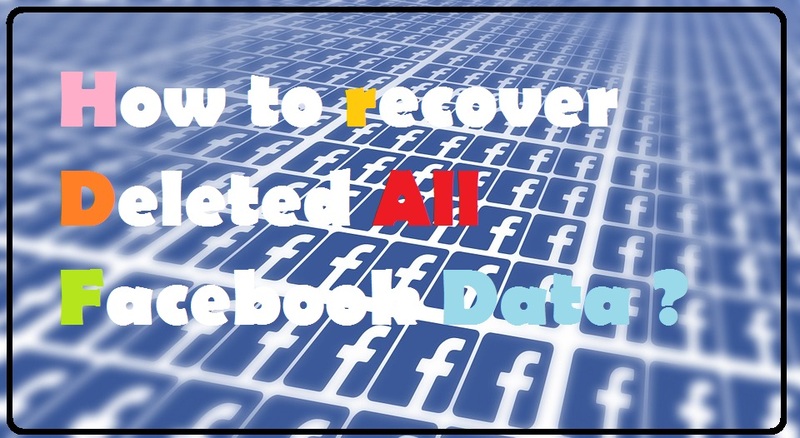 [Facebook Trick] How to recover deleted all data on facebook? Hello guys , you are most welcome , If you do not know about this feature of Facebook, how to download your entire chat and photos together, this post will tell you how you can do this and download your entire data in just one click. 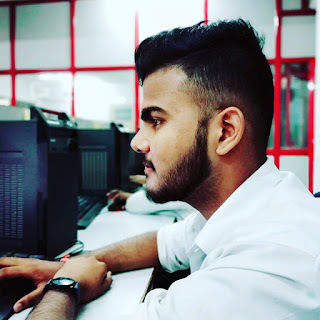 All those who have been chatted will be protected by Facebook, you can always find your whole detail again easily, and if you have a Faceboo If you have done some deleet also, you will also be able to recover it, a problem of this trick is that the old messages which have been deleted, they can not come back, if you just deleted any message or chat Then you can get it again or recover. How To Create [Invisible] Blank Name Id On Facebook? So let's know how to download your entire Facebook data. Step1; First of all, you login by going to your Facebook account. Step2; After this it will be an option to look in the side, it will have to click on the settings. Step3; After this you have to go to General Account Settings. Step4; Now you will see an option on that there will be a button download a copy of your Facebook data. Step5; As soon as you click on it, a message will appear in front of you download my archieve click on it. Step6; After that it will take some time, this time can be anything, usually before 24 hours you will download your data and upload it to Facebook. And when Facebook collects your entire data, then it will be mailed to your registered email id From Facebook, in which you must have told that your Facebook data is ready to download, you can download it by visiting your Facebook account. Step7; If you do not find the link in the email, then you can open your fb account after 24 hours and go back to the settings and then go to the General Settings then on the left you will have an option to see that your data is ready to download, Download it. Step8; Now the file that is downloaded will be in a zip file, which will require you winrar software to install, you can install winrar and open this file in your computer. The download link of the Winrar is given below. Step9; Now when you open these zip files, you will be asked to enter your Facebook password. Entering Simply Password This will give you your complete Facebook data. It will have a file in the name of index.htm to open it, you will see that all your messages There will be stores in it, there will be more files in which there will be a lot of your information. You can check one by one.